Rose shrubs come in a variety of forms, from miniature to climbing. They are grown for their attractive and often fragrant flowers, which bloom mainly in early summer and fall. · Old roses are those introduced prior to 1867. These are the lush, invariably fragrant roses found in old masters’ paintings. There are hundreds of old rose varieties—whose hardiness varies—providing choices for both warm and mild climates. 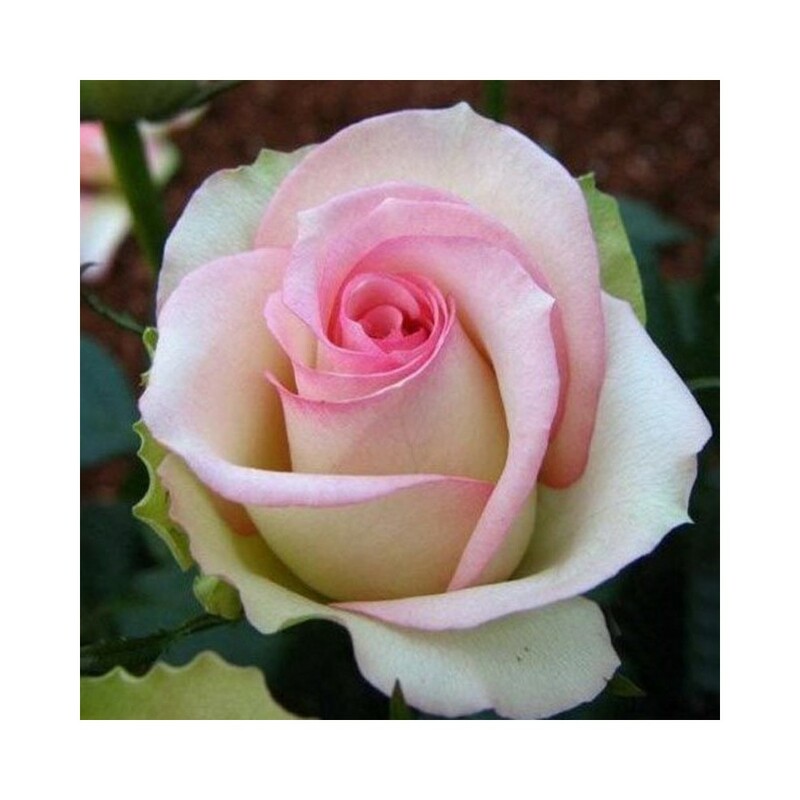 · Modern hybrid roses are sturdy, long-blooming, extremely hardy and disease-resistant, and bred for color, shape, size, and fragrance. · Species, or wild, are those that have been growing wild for many thousands of years. These wild roses have been adapted to modern gardens and usually bloom in the spring. Choosing from all the possibilities can be a daunting task. Take your time and wander through nurseries and page through mail-order catalogs and Web sites. Roses prefer a near-neutral pH range of 5.5–7.0. A pH of 6.5 is just about right for most home gardens (slightly acidic to neutral). Before you plant, be sure that you choose varieties proven in your climate. When in doubt, All-America Rose Selections winners are good bets. Or check with your local nursery. If you order roses from a mail-order company, order early, in January or February (March at the latest). They are usually shipped in the spring as bare roots when plants are fully dormant, well before they have leafed out. They’ll look like a bundle of sticks on arrival. Note, they are not dead—simply dormant. If you are buying container-grown roses (vs. bare-root roses), plant them by May or early June for best results. 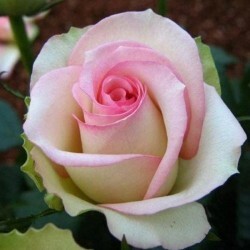 · Plant roses where they will receive a minimum of 5 to 6 hours of full sun per day. Roses grown in weak sun may not die at once, but they weaken gradually. Give them plenty of organic matter when planting and don’t crowd them. · Wear sturdy gloves to protect your hands from prickly thorns. Have a hose or bucket of water and all your planting tools nearby. Keep your bare-root rose in water until you are ready to place it in the ground. · Roses can be cut back and moved in either spring or fall, but not in midsummer, as they might suffer and die in the heat. Large rose canes can be cut back by as much as two thirds, and smaller ones to within 6 to 12 inches of the ground. · When you transplant your roses, be sure to dig a much bigger hole than you think you need (for most types, the planting hole should be about 15 to 18 inches wide) and add plenty of organic matter such as compost or aged manure. · Some old-timers recommend placing a 4-inch square of gypsum wallboard and a 16-penny nail in the hole to provide calcium and iron, both appreciated by roses. · Diligently water your roses. Soak the entire root zone at least twice a week in dry summer weather. Avoid frequent shallow sprinklings, which won’t reach the deeper roots and may encourage fungus. Roses do best with 90 inches of rain per year, so unless you live in a rain forest, water regularly. · Roses love water—but don’t drown them. That is, they don’t like to sit in water, and they’ll die if the soil is too wet in winter. The ideal soil is rich and loose, with good drainage. One of the worst mistakes you can make is to not provide adequate drainage. · Use mulch. To help conserve water, reduce stress, and encourage healthy growth, apply a 2- to 4-inch layer of chopped and shredded leaves, grass clippings, or shredded bark around the base of your roses. Allow about an inch of space between the mulch and the base stem of the plant. · Feed roses on a regular basis before and throughout the blooming cycle (avoid chemical fertilizers and pesticides if you’re harvesting for the kitchen). · Once a month between April and July, apply a balanced granular fertilizer (5-10-5 or 5-10-10). Allow ¾ to 1 cup for each bush, and sprinkle it around the drip line, not against the stem. · In May and June, scratch in an additional tablespoon of Epsom salts along with your fertilizer; the magnesium sulfate will encourage new growth from the bottom of the bush.